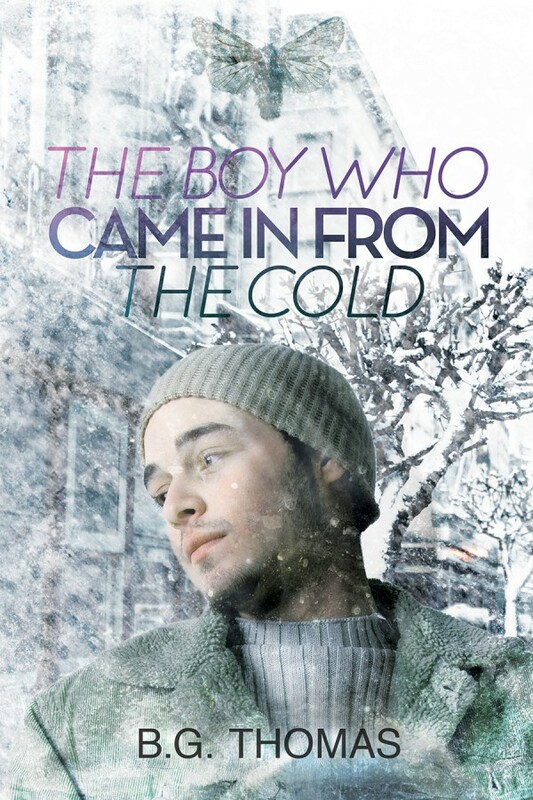 So I sold a new book a few months ago called The Boy Who Came in from the Cold. A few days later I find I’ve sold the spinoff, Anything Could Happen. I am very excited. Here is the cover for The Boy..
Dreamspinner Press provides the BEST covers! I will let you know when the book is going to be available soon! Today is the Autumnal Equinox, also known in some circles as Mabon. The time we reap the fruits of final harvest and our life experiences. I too am enjoying a time of harvest. First I sold another story. My seventeenth in just about two and half years. It seems impossible that three years ago I was too afraid to do almost anything of the kind. And now my life feels like a fairy tale. I am happy about this story. It is called Bianca’s Plan, and despite the title it is a gay romance and one I am very happy with. Very sweet and cute and so romantic. Next, everything has finally and totally fallen into place. I am going to GayRomLit in Albuquerque, NM and I am so excited I can barely stand it. Here is what the website says about the event: This year’s event will occur October 18-21, 2012 at the Hard Rock Hotel and Casino in Albuquerque, New Mexico. We call it a retreat instead of a conference or convention so that the emphasis can be on building relationships, reinvigorating creative energies, and presenting varied and informal opportunities for readers, authors, and publishers to renew friendships and make new ones. The information that contains the preliminary program of events and activities planned as well as details you’ll want to know about registration, hotel, transporation, and more will be available soon. While we’re confident that most events and activities will occur as stated, some details were still awaiting confirmation at the end of Publisher Registration. This is the must-attend event for all who enjoy creating, reading, and publishing gay romance. Registration is limited to a maximum of 400 people so don’t delay. We hope to see you in Albuquerque! There are a ton of events planned and I know it is going to be a blast! Finaly, I have been asked to join the amazing blog, Café Risqué! I will be joining the incredible authors T.C. Blue, Cardeno C, Scotty Cade, Kiernan Kelly and D.W. Marchwell, each of writing for a different day of the week. I can’t believe I will be in the company of such illustrious authors. Me! With them! WOW! So as you can see, lots of exciting things in the wind! I hope you’ll check out everything you can. You won’t be disappointed! OMG!!!! OMG!!! OMG!!!! I DID IT!!!! I DID IT!!!! I DID IT!!!! Everyone! I sold my first novel! Just got the contract moments ago! OMG! I am laughing and crying at the same time. I’ve read about this. I’ve written about this. And now it has happened to me! Everything is Amazing! I’m in New York City!! So far my trip has been utterly amazing! Left early yesterday morning and got in before noon. The flyover Manhattan was breathtaking! Got to the hotel, immediately starting meeting the whole Dreamspinner Press staff and it was all I could do not to cry. Relax. Happy cry, not sad cry. Everyone has been so wonderful! The hugs! Elizabeth, the co-publisher of DSP, hugged so hard and tight! I felt like our hearts touched. And Lynn! OH!! And Julianne! So kind and darling and sweet and beautiful! We went to a Walgreen’s to get pop and booze and stuff and the walk back just about killed me. Took me hours to feel better. Really. But on the walk back, way at the end of a street, I saw the silhouettes of both the Empire State Building and the Chrysler Building. Took my breath away again. We had the most amazing “Meet and Greet” last night where I met almost everyone who is supposed to be here. We talked, we laughed, we bonded, we got bombed. Free booze! Today was workshops all day and I am tired, but I don’t dare take a nap! What if I oversleep! We are going in for a dinner at a club called “Lips” where drag queens serve you and perform. About eight of us. OH! And I found out today I sold my newest story, It Had to Be You! I guess they really liked it and that makes me so happy! I was warned that the edits might be tough with all the historical stuff, but that’s fine. I have also promised Elizabeth my first novel by July 1st! SO exciting! She wants the novel and is counting on it. She does consider this a promise. I have to do this. It’s my reputation. There is still quite a few days left. Tomorrow is the huge Rainbow Book Fair. If I can, I am hearing there a shift early since it is in The Village. OMG! The Village! Can you imagine?? Then the RBF and back here. The next day I meet Matt! OMG! Well, I will post again if I can! Super News! Another Sale and This One Means A LOT To Me! I am so excited. I just sold my 14th story in the less than two years since I started submitting my writing. And this one really means a lot to me. Many many many moons ago, my first boycrush, where I started figuring out I was gay, hooked me on Marvel Comics. I was in Jr High School. As the years passed, my superhero obsession grew, as well as my feelings for that boy. He was an amazing artist but couldn’t write to save his life. I loved to tell stories but was only a step or two above stick figures. So we created our own comic books and superheroes. When I was finally able to tell him how I felt, it went the same way as it so often does in reality to gay men. I was rejected. Big time. HUGE HURT. Lots of crying. But that is a part of life. Now many years later I am on year eleven with my man, something I would never have thought possible that night crying in my room. I have never been able to figure out what happened to my boyhood crush, but I think I have many years to come with my husband. And what’s more, I owe that boy a world of superheroes. While I finally stopped collecting about ten years ago due to so many things, I still adore comic books. And when a call for submissions went out from Dreamspinner Press for a new anthology called Men of Steel asking for stories about gay superheroes, I had to jump on board. The main character is not one that me and that boyhood friend made up, but some of the back-up characters are. My tale is about Paragon, the ultimate man, who is invulnerable, can fly, throw tanks as if they were pillows, and of course, gay. And did I say “invulnerable?” Well that isn’t exactly true. Because his heart is vulnerable big time. This story was a joy to write and it was with great trepidation that I awaited to see if it would sell. I understand the editor got quite a few submissions. Congratulations – Dreamspinner Press would like to include your story, “Meant to Fly”, in the “Men of Steel” anthology. Thanks again for your submission, and I hope you’re having a fantastic new year! Needless to say, I am insanely thrilled. AND New Lease is about to be released in Two Tickets to Paradise as well. Both anthologies will be in paperback!! Feeling pretty good for feeling so bad today! PS: I don’t want to forget to thank clmiles, essayel and wrjones for the FAST edits they had to do. I couldn’t have done it without them. Thanks guys! Once more I am doing the Snoopy Dance and this time I’m doing it in Paradise! Dreamspinner Press’ Two Tickets to Paradise that is. I sold my newest story, appropriately titled, New Lease. I am quite proud of this little story. It is the shortest piece I’ve ever written and finding the line between what to keep in and what to HACK out was nerve-wracking! I’m happy to say that I’d like to include your story, “New Lease,” in the Two Tickets to Paradise anthology, which is scheduled for release on February 20, 2012… …Thanks again for your submission. I’m looking forward to working with you on Two Tickets to Paradise. I am a happy boy today. I will let you know when it is available, believe me. Anne said there were a lot of submissions so you know there will be a lot of good stories to read. Dreamspinner Press always presents amazing anthologies and Anne is an amazing editor as well. Wonderful lady too! My day week and month have been made! I sold “Christmas Cole!” This is for Dreamspinner Press and their 2011 holiday stories. This will be their forth year of doing it, so it must be successful! It’s the most fervent dream of the holidays: to have a life full of blooming romance and enduring devotion with love, joy, and even a touch of lust to warm the cold winter nights. No matter what holidays are celebrated, the idiom holds true: home is where the heart is. I am so proud of this story. I think it may be one of the best things I’ve ever written! Found out they had over 80 submissions this year, and I was chosen! I am thrilled! I am squealing I am so happy. Doing the *Snoopy Dance* all over the house! In other words, I am happy! Now if only one of my closest friends on the planet sells her I will dance all the way to where she lives, and that is pretty damned far away! UPDATE!! I am so happy! My wish came true! Not only did I sell “Christmas Cole,” but my dear, sweet, wonderful friend sold her story “A Perfect Christmas.” And just wait until you read it! WONDERFUL story!